Specialist in Bordeaux Grands Crus Classés market for more than 80 years, Barrière Frères is the commercial arm of Grands Millésimes de France (a joint venture between Suntory and Castel), which includes Château Beychevelle (Saint-Julien) and Château Beaumont (Haut-Médoc). 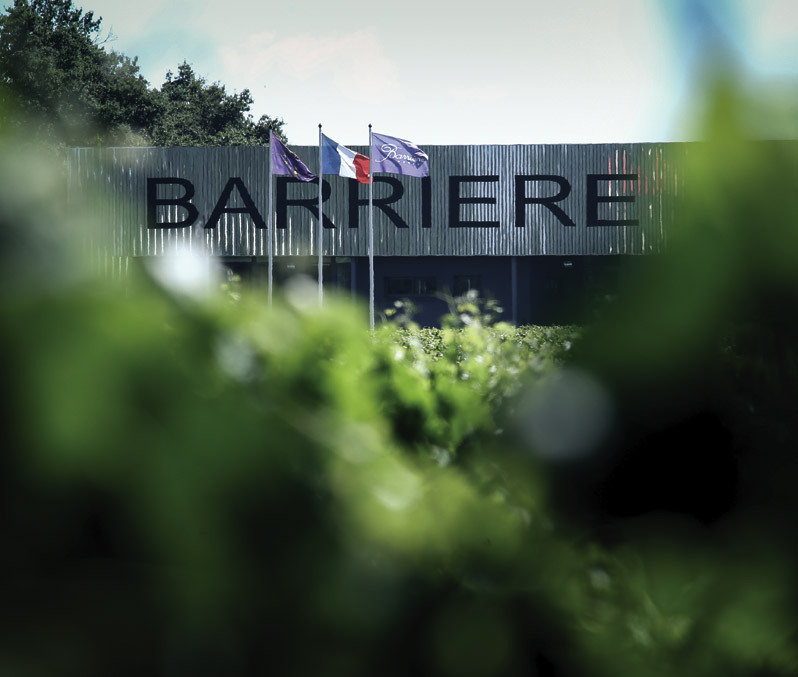 With its solid financial resources allowing it to ensure a coherent and sustainable purchasing and sales strategy Barrière Frères is now one of the leaders in the market of Bordeaux Grands Crus, notably on the export markets but equally on the traditional French market. Its know-how, its permanent concern for customer satisfaction and its experience since 1932 make Barrière Frères a unique and indispensable partner in the sourcing of the greatest wines of Bordeaux and the world. A warehouse of 8500 m2, completely secure, provides optimum storage conditions for the 3 million bottles that constitute the stock. A unique and severe quality-control system garanteeing provenance ! A state-of-the-art computer system allows stocks to be managed in real time and offers traceability from reception of the wines up to their dispatch. A Sales Administration and Logistics staff of 13 people, all highly trained on all the legal and commercial export requirements and/or regulations. Certified ISO 9001 since 2000, Barrière Frères obtained the “AEO” (Authorised Economic Operator) Certification delivered by the European Customs in 2012, guaranteeing that Barrière Frères is recognized as a secure and safe business partner in the international supply chain. Working closely with the owners of the most famous Estates of Bordeaux and elsewhere, our portfolio is made up of 200 to 300 brands covering the last 30 vintages. Sourcing is carried out exclusively in Bordeaux, in direct contact with each winery and, once again, with Quality Control being amongst our highest priorities. A daily presence in the heart of the Bordeaux vineyards and regular tastings allow us to enhance our offering by regularly including the a maximum of new wines to a range of world-wide exclusive brands. Wine merchant Barrière Frères, based in the heart of the Médoc for more than 80 years, is a specialist in the distribution of the great wines of Bordeaux and also open to the finest wines from other regions of the world.